Over the years I have had fun decorating the sun room for Christmas and normally it is filled with color, but not this year. This year I need calm and serene so neutral it is. Neutral doesn't mean cold or boring though as you will see below. The tree is the star of the room so Christmas accessories were kept to a minimum. 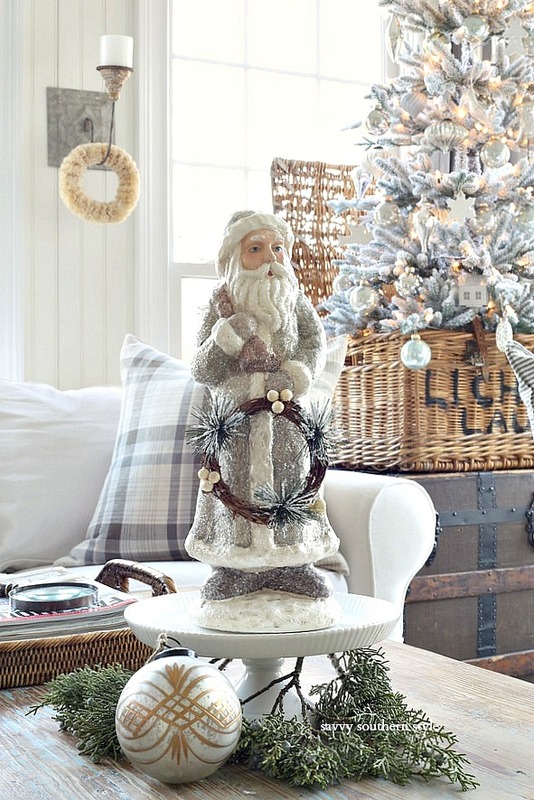 I placed this Santa on a white cake stand and tucked some real greenery around it. With more tweaking you will also find an ornament next to the greenery in some of the photos. I took these shots for days. This tree was in the master bedroom last year, but this is the room I spend the most time in so I wanted to enjoy the tree in here. 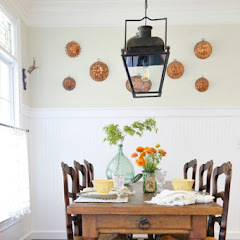 I grabbed the vintage lidded basket from the other side of the room and placed it on the trunk. The tree stand fit perfectly in the basket as if it was meant to be. 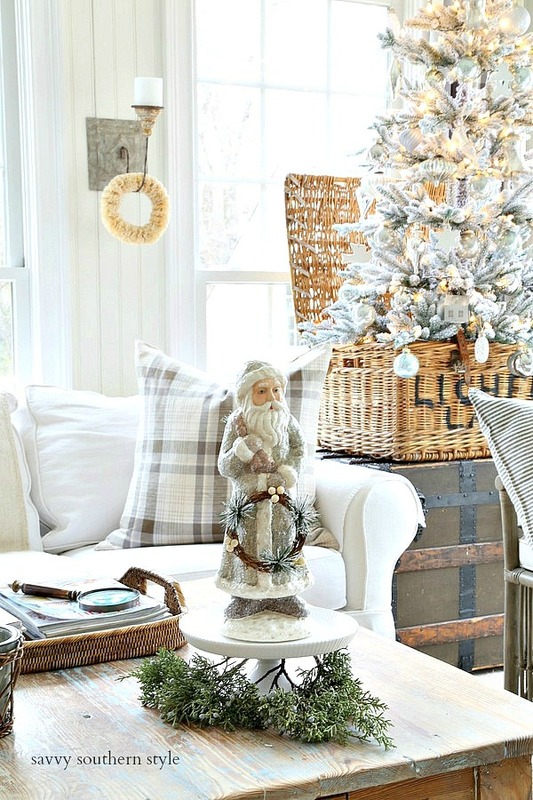 Plaid is huge this year and you will find variations of it in here in small doses. 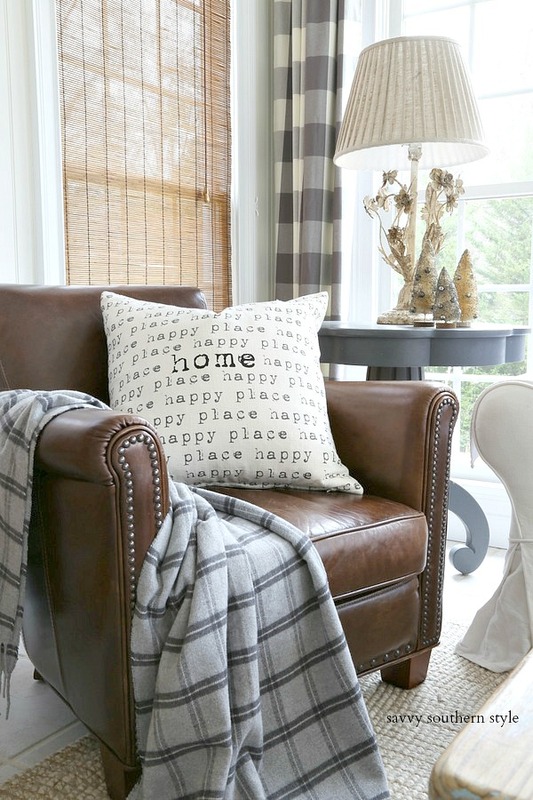 I found this gray plaid throw at HomeGoods a couple of months ago and it is so soft. I used it in the guest bedroom first in this post. 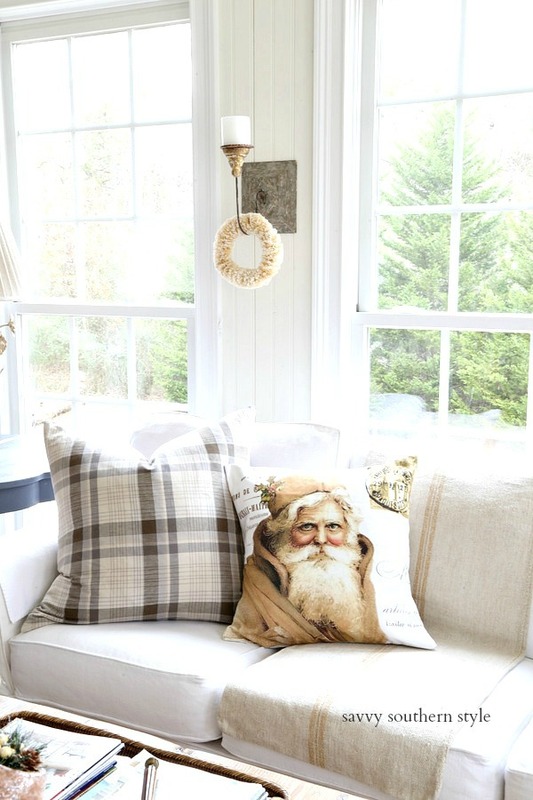 The plaid pillows from Pottery Barn were already in here and the cute Santa pillow was in the master last year. This is the only new pillow I ordered and it was going to be used in a guest bedroom, but I decided I like it right here on the bench. 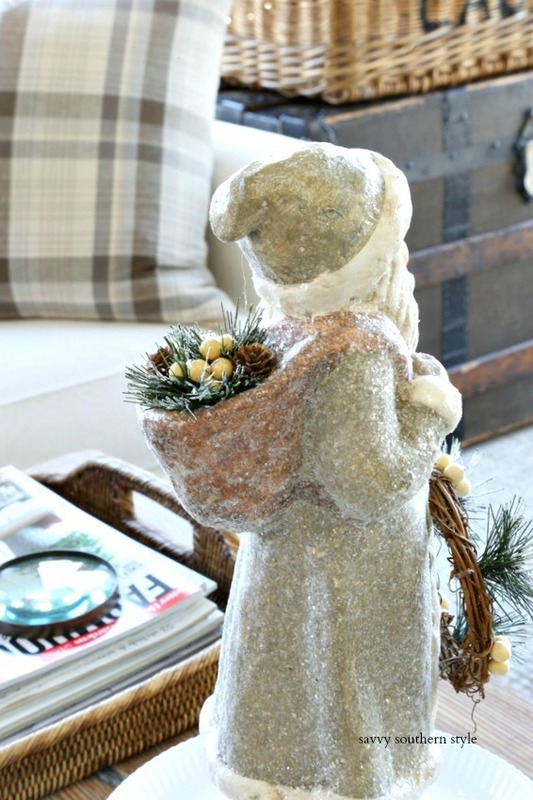 You can find it at Porter Lane Home. 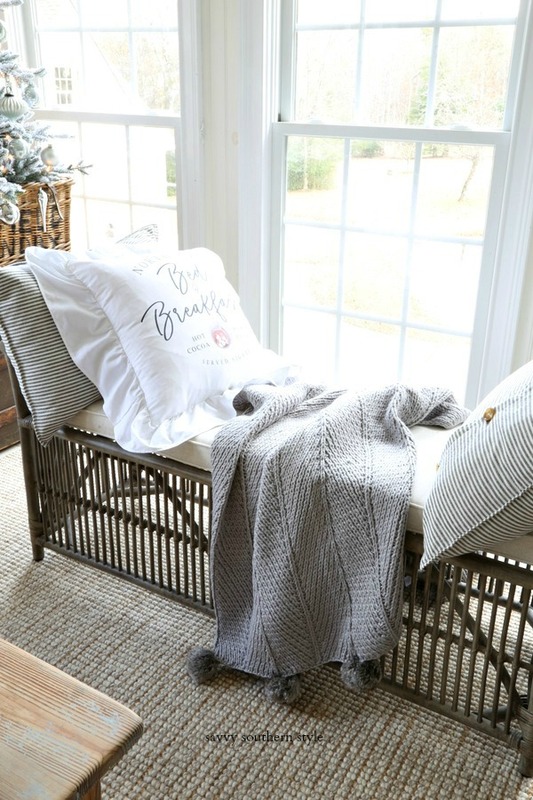 I love cozy throws and this one is another one from Pottery Barn that I snagged on sale after Thanksgiving. Here's a close up of the graphics. This is a new Santa as I'm trying to collect these. I have found some of my older ones at different stores like Tuesday Morning and HomeGoods, but I didn't find them this year so I ordered this one from Needless Markups Neiman Marcus while it was on sale. Look at the cute pack on his back. 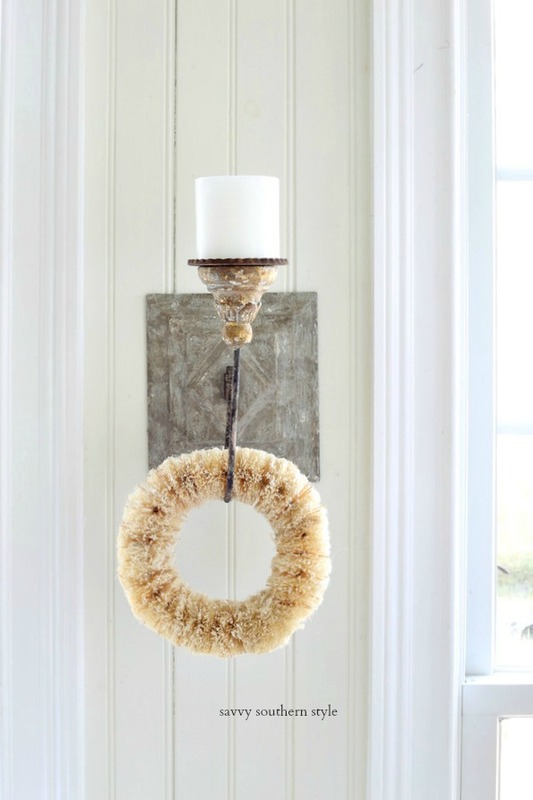 I hung these old bottle brush wreaths on the sconces. 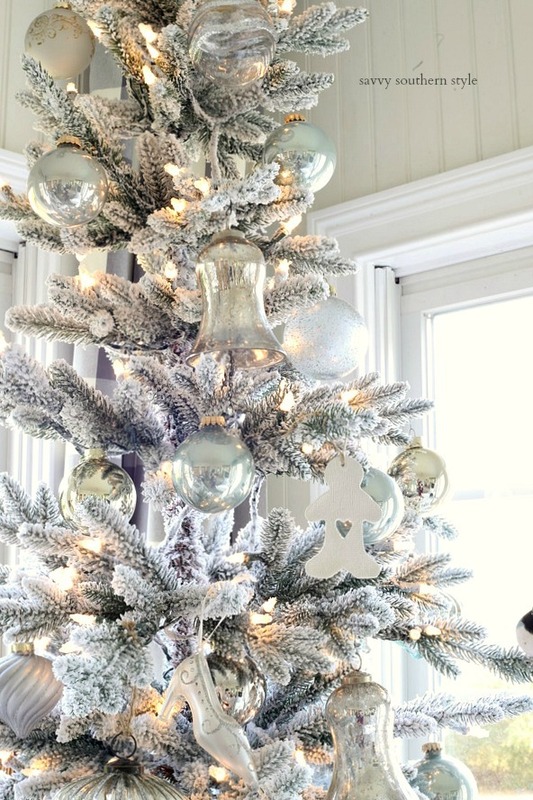 The tree is covered in silver, white, and platinum colored ornaments. The "home" pillow is from a local store. The holidays is all about home and family. This was taken on a very rainy day. Thanks for visiting and you can catch up on the past five Christmas sun rooms below. It is so pretty, Kim. I really like the neutral this year. I think you needed some "quiet" after the year that you have been through with your mom and all. I hope you enjoy every moment in your sun room. 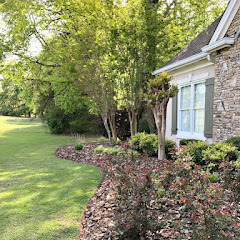 It has been kind of a weird year here-being in a rental for the year while we figure out what we are going to do---so not much decorating going on here at all. That's okay- there is always next year. 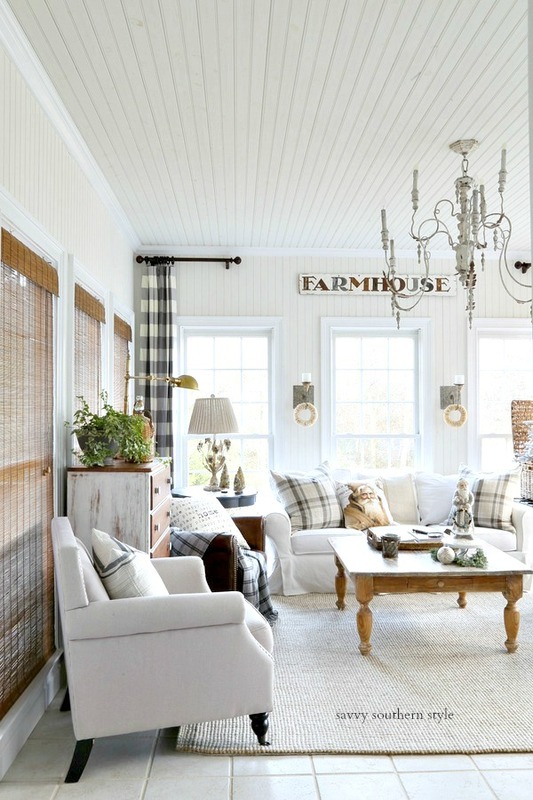 Love, love, love the sunroom! Kim, your sun room is so pretty with your tree playing the star role. I love the NM Santa and the Santa pillow. 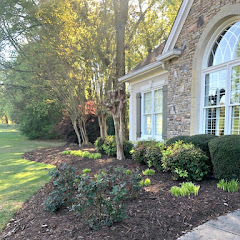 You have created a very peaceful and calming space for the season! 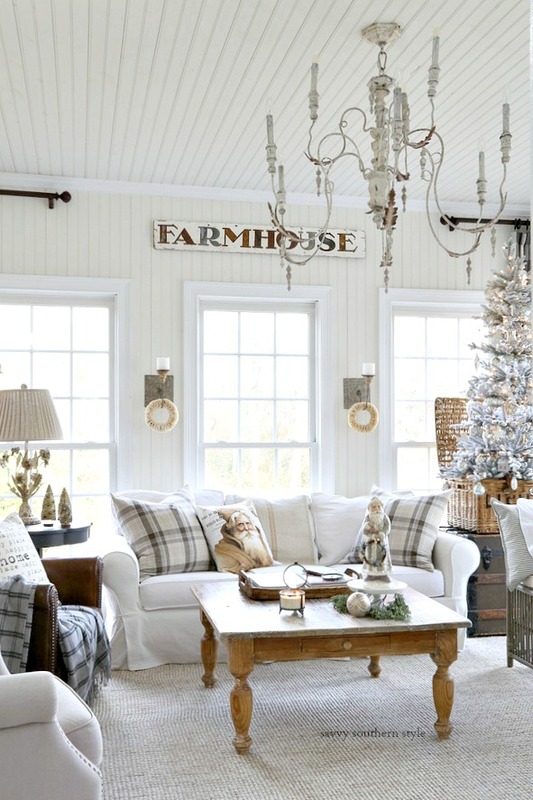 Gorgeous sunroom and I love the way you displayed the tree in the basket! 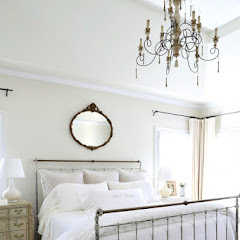 Normally, I love this room with lots of color but its beautiful in neutrals as well. Must be your magical touch! 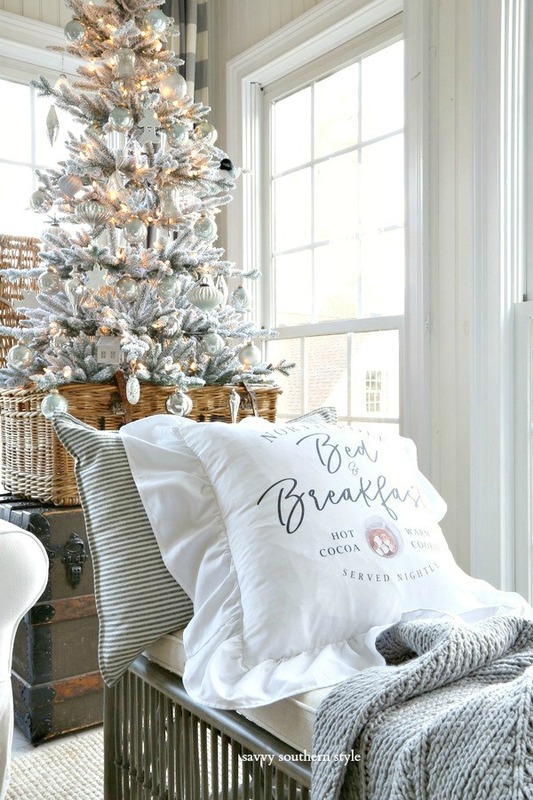 Love the sunroom....the "all is calm...all is bright" the neutral colors are beautiful yet it exudes a warm brilliance to the room...LOVE the B&B pillow! 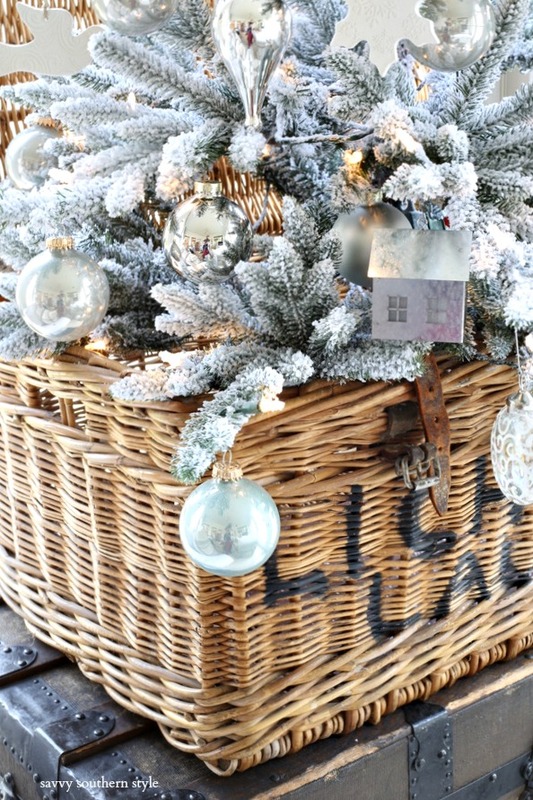 Oh my fav tree is in that spectacular basket!! Have a Merry week Kim!! 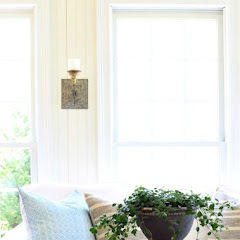 Your sun room looks very serene and almost Swedish...beautiful! As much as a "color girl" that I am I really love this!!!! It is SO calming and beautiful! 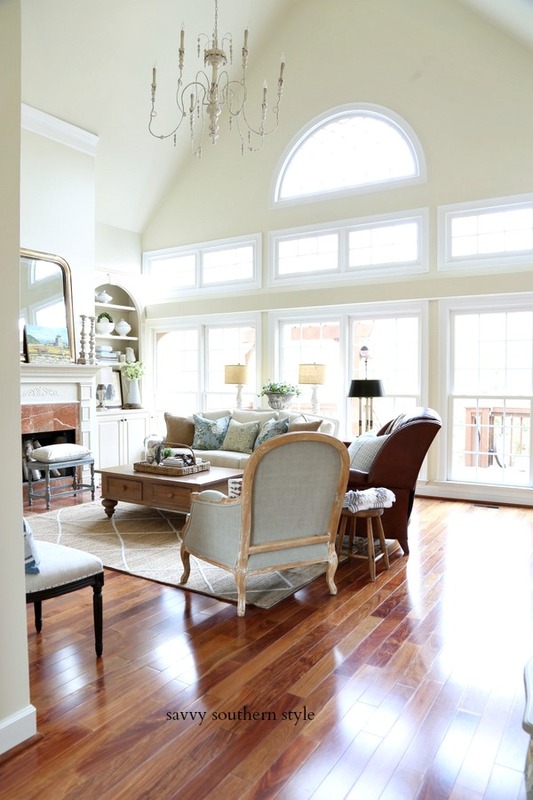 I LOL'd at "needless markups" Had never heard that but it is so true;):) Your sun room is always beautiful. I love this neutral design. You have done it so well and it looks warm and cozy! I used more neutrals last year, but my husband loves traditional Christmas colors, so I did that for him this year. My home has a lot of basic neutral tones, so the red, green, and even plum colors I used "pop" and look very festive. I have said this before, but you are so inspirational and I appreciate that you share your designs in your blog. Merry Christmas! 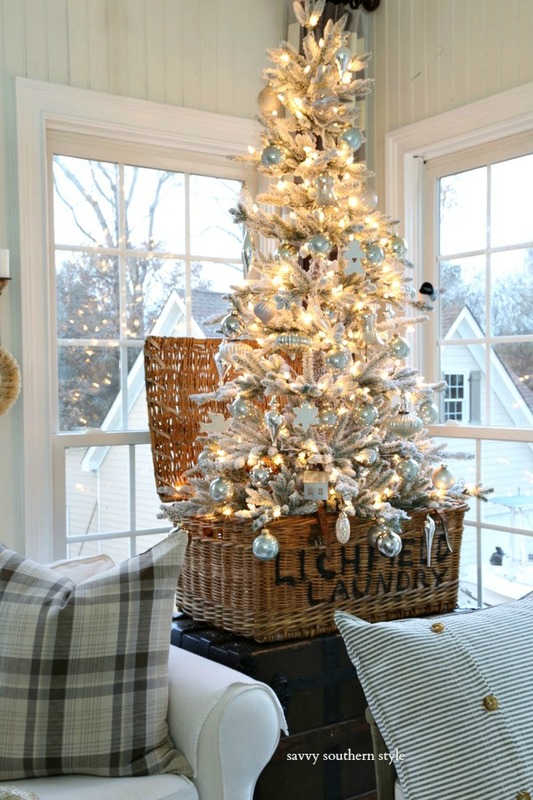 Love the soft neutral colors this year with the plaid and the tree really is beautiful. The plaid theme is beautiful! Of all the years this is the best. Can't see how you could improve it. WHERE OH WHERE did you get the plaid drapery panels? Thanks Sharon and the drapes are from Pottery Barn last year. 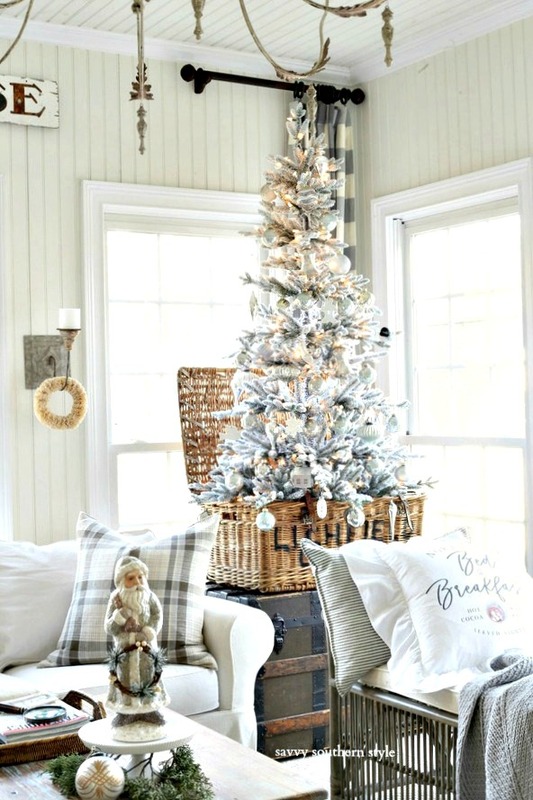 After looking at the 2013 - 2017 sunroom posts, the 2018 sunroom Christmas decor is my favorite - the simplicity and neutral colors are soothing. Merry Christmas! Hi Kim, I love your neutral room, it is not at all boring. So classy and classic! It was interesting going through your previous years and see your style evolve. Have a wonderful holiday season. Sometimes it's nice to have a neutral theme. I'm trying that this year, too. You've hit it out of the park, (again)...just lovely. 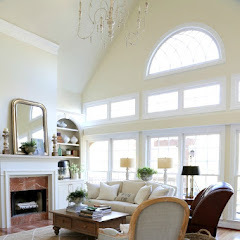 Kim you know how much I love your sunroom and I love your neutrals you picked for your Christmas Decor. So pretty and cozy. I love your tree in the old basket too. That is so cute. 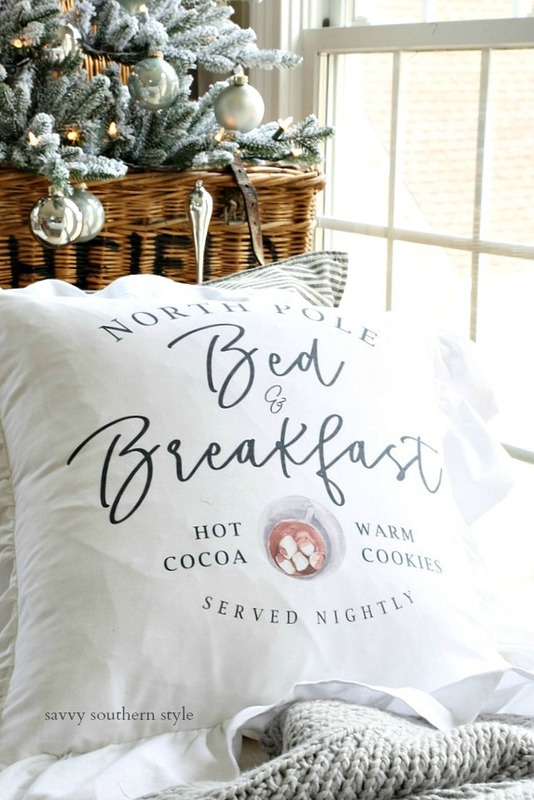 Love that North Pole Bed and Breakfast pillow and will check that out. Have a great weekend. 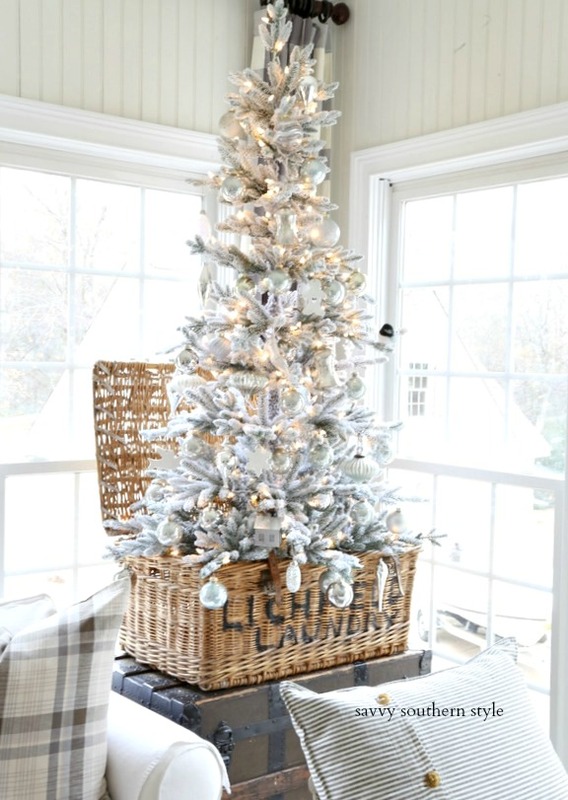 Love the tree in the basket, what a perfect fit! And that Santa and your pillows were all your pretty sun room needed to shine!